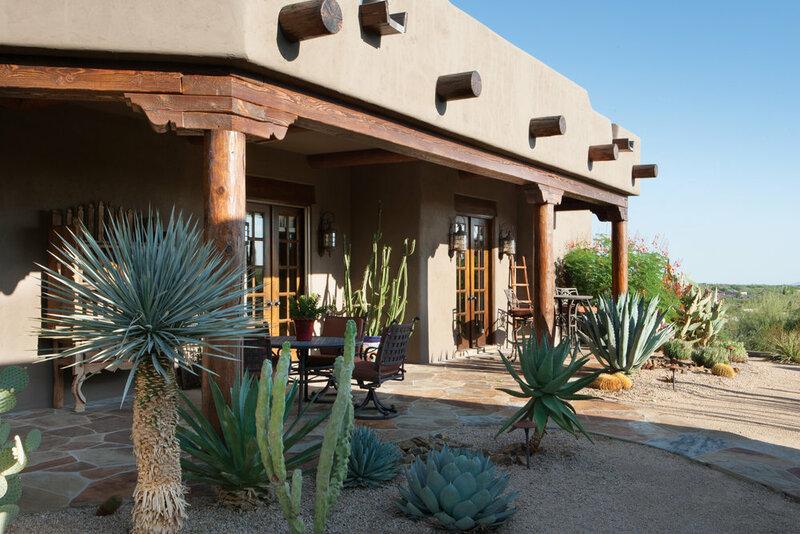 This is the ideal home for those seeking a slice of authentic Arizona. 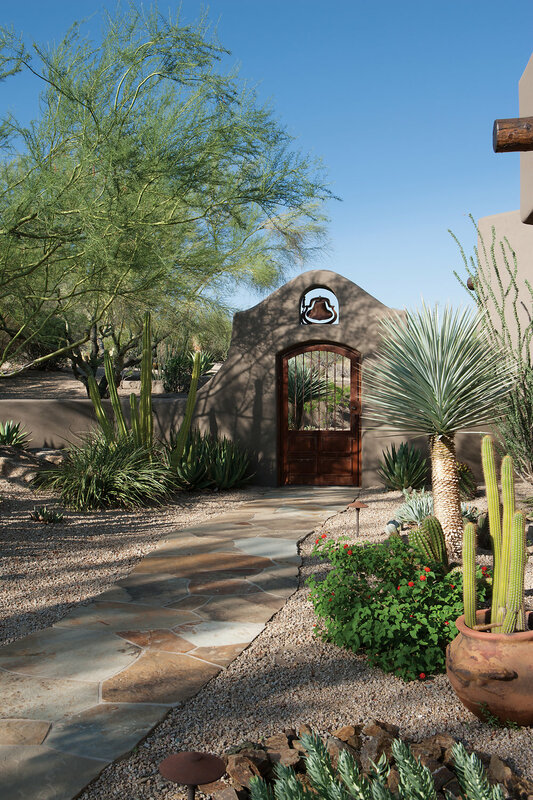 Accented by sweeping views of Black Mountain, and Boulders, this 5-BR, 5.5-BA hacienda is the definition of Arizona charm. 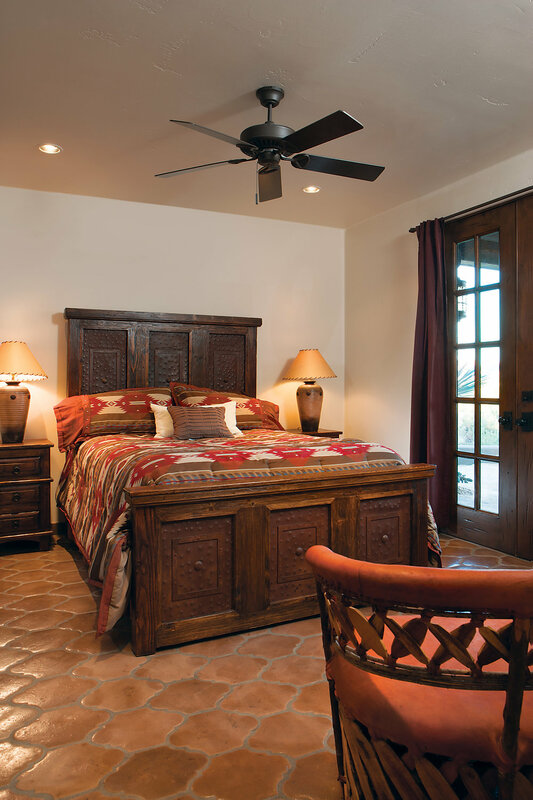 Every room is integrated with the 1.63 acre grounds, recalling the romance of a Spanish Hacienda-style home. 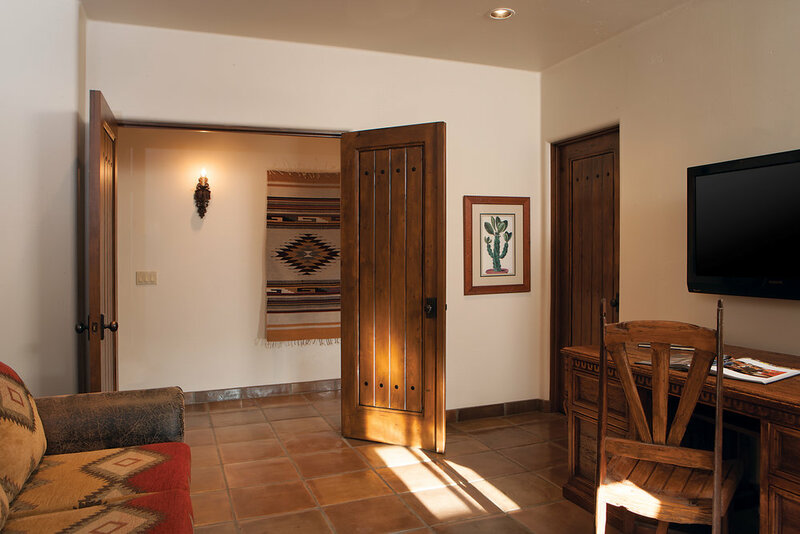 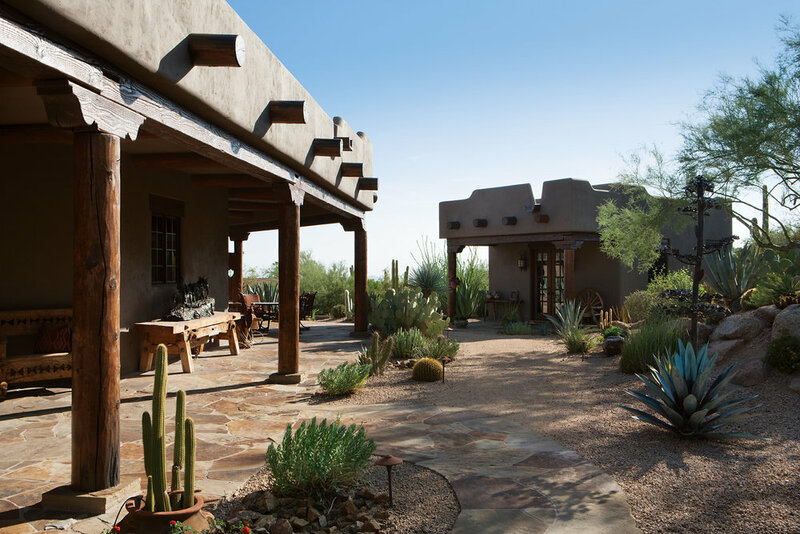 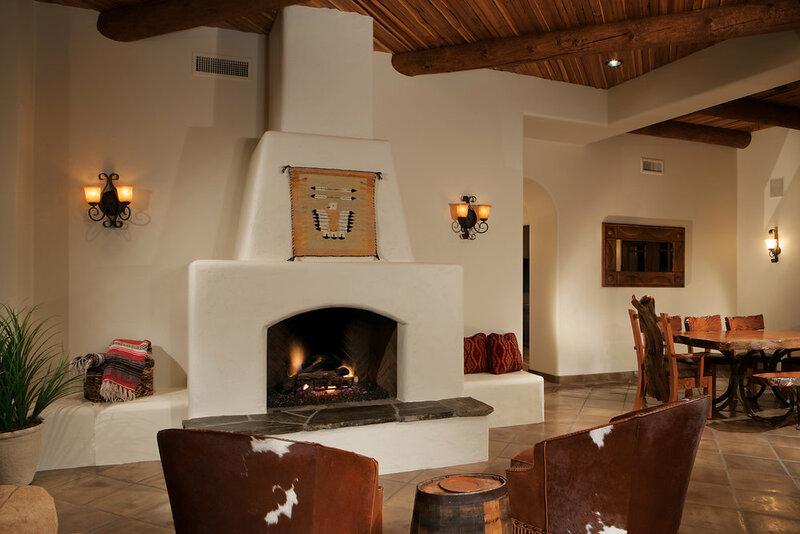 Deep covered patios, and countless species of native cacti—all are kept private in the courtyard by adobe-styled walls paired with beautiful wrought iron gates. 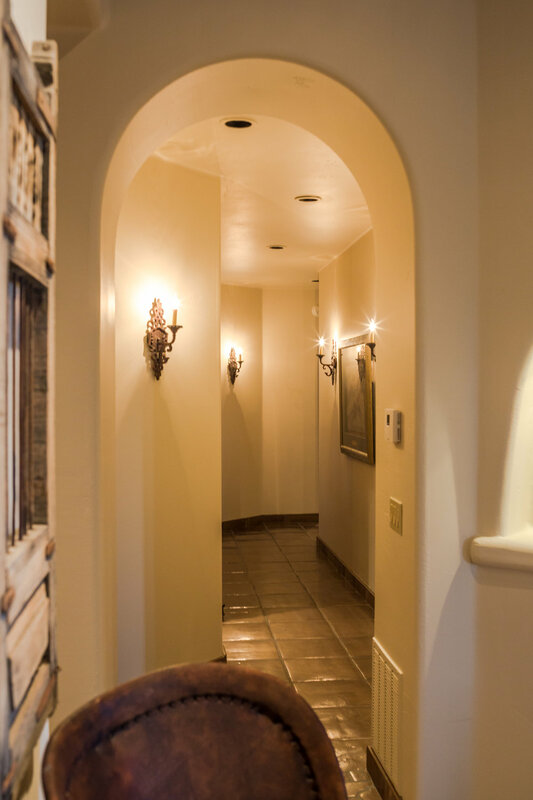 Traditional touches accent at every turn. 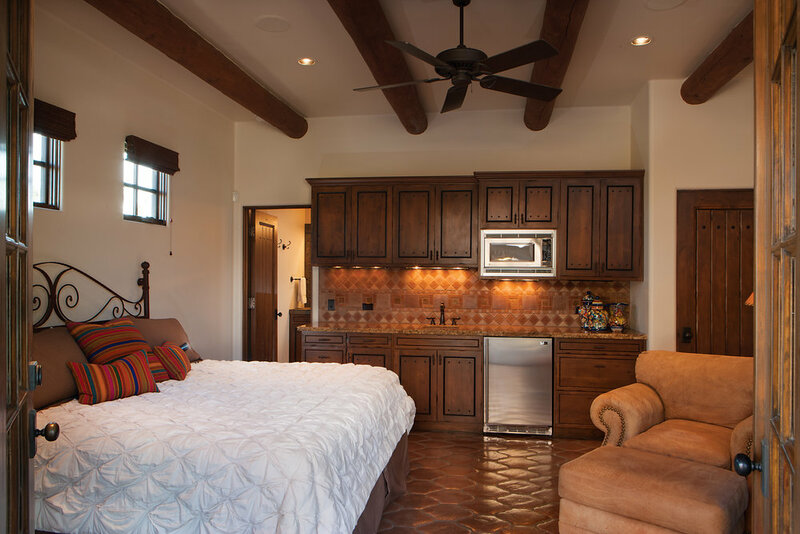 While all of the interior spaces are inviting, the open kitchen is the home’s heart. 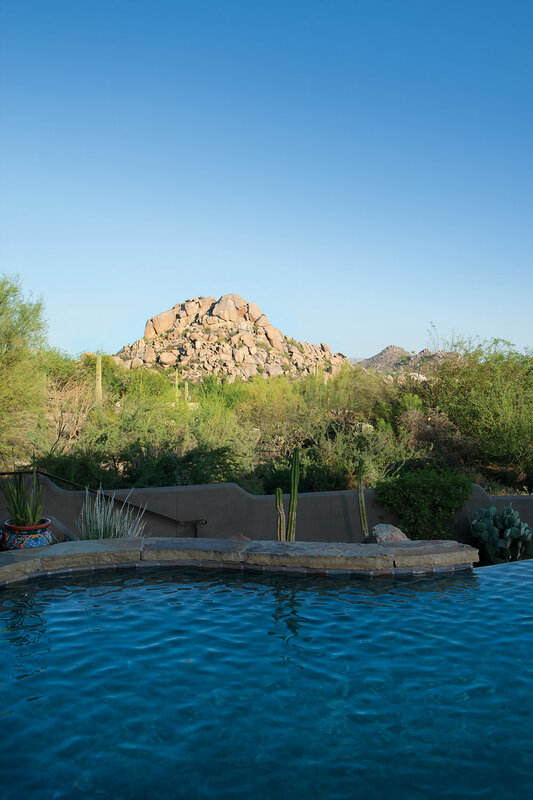 A luxurious pool, with a lavish negative edge water feature, built-in BBQ, and kiva fireplace are all wonderful adornments to the captivating Boulder view.